Leading legal software and services provider (SOS) has announced details of the 2013 National SOS User Group AGM & Conference. Three SOS clients and a senior figure from the Legal Support Network are among the speakers at this year’s event, which takes place at The Belfry in Sutton Coldfield near Birmingham, on Tuesday, 19th November. Jonathan Swan, operations and IT director/partner at Roythornes LLP, will provide an SOS case study while Clive Meredith, practice director at Wollen Michelmore, will talk about his firm’s experience with social media. Following feedback from last year’s conference, for the first time the day also includes a new ‘scripting fringe’ event, featuring sessions for advanced scripters and the growing amount of firms who have in-house developers for SOS Connect. Steve Simpson and Liam Osborne of Chattertons Solicitors will be joined by Graham Colbourne, systems director at SOS, for a round table and Q&A session. 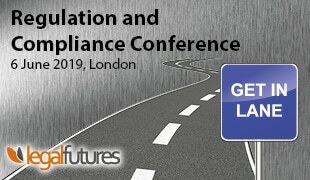 The day’s guest speaker is Rupert Collins-White, head of content and community at Legal Support Network, who will be addressing the theme of ‘Championing Operations,’ and there will be a product update from SOS’s managing director, David McNamara, and commercial director Elaine Galvin. Nominations are also being sought for a new chairman of the National SOS User Group, in succession to long-standing chairman John Kay, and also for regional chairs. David McNamara said that more than 100 people attended last year’s event, including managing partners and partners, directors, heads of marketing, IT and finance staff, account managers, in-house developers and IT administrators, office administrators and legal secretaries. “The changing legal landscape is forcing firms to become more streamlined and client focused,” he said. finance, IT and marketing staff have a louder voice and are more prominent. We are also seeing increasingly collaboration between partners/fee earners and operations professionals. This year’s National SOS User Group AGM and Conference takes place from 9.30 for 10am until 4pm, in the newly refurbished Belfry’s Warwick, Stafford and Kingsbury suites. Attendees will also enjoy a two-course lunch at the event, which costs £60 for delegates whose firms are members of the SOS User Group, and £80 for non-members. * If you would be interested in standing for the post of chairman of the National SOS User Group please email jkay@molesworths.co.uk.